Near the end of each calendar year, Pantone releases its predictions for the colors the world will be loving in the next year. Pantone’s color predictions tend to shape the way the world of design operates, both in fashion and home decor. I have a few favorites from Pantone’s picks for Spring of 2018. I wanted to share them with you and to give you some tips on how to incorporate my favorite Pantone colors into your own home. Pantone’s choice for Color of the Year for 2018 is a bold, purple color. People either love or hate this saturated tone; there aren’t many people sitting on the fence. I happen to love this cool toned purple, and I am looking forward to finding ways to incorporate it this year. Purple is an invigorating color, so I think it works particularly well in an office or work space. I love how this seating area makes use of Ultraviolet in both the wall color and the seating. Some people may be tempted to add Ultraviolet into their homes in small doses, but I say go big or go home! In addition to a chosen Color of the Year, Pantone has also released a few color palettes for Spring. While the palette leans heavily toward bright tones, this sophisticated neutral really caught my eye. It is has just the right amount of warmth that the gray doesn’t look dreary. I recommend a warm neutral like Coconut Milk in a dining space. Pair it with white trim and dark wood, and you have the recipe for a gorgeous dining room! Blooming Dahlia is a color that has the potential to go really right or really wrong in your home. The secret to making it work is to combine it with other warm colors and finishes to prevent the coral shade from looking childish. 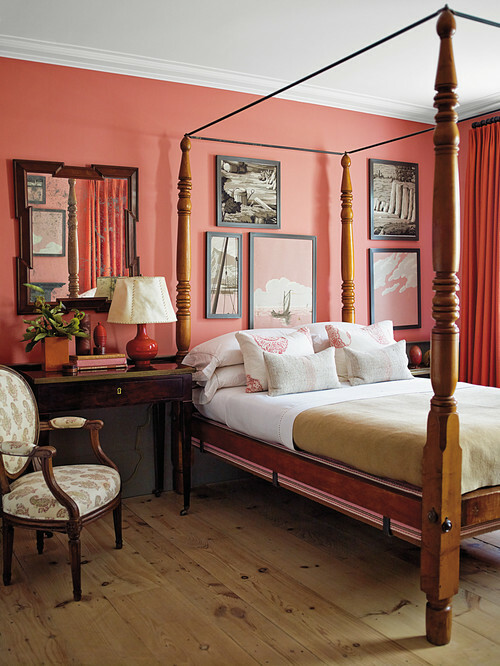 This bedroom makes perfect use of this grayed down coral. By teaming the color up with wood tones and other warm neutrals, the coral feels calming and upscale. Despite the name, this light blue is not just for little boys’ bedrooms! I love this classic blue for so many uses, from the ceiling of your balcony to the cabinetry in your kitchen! 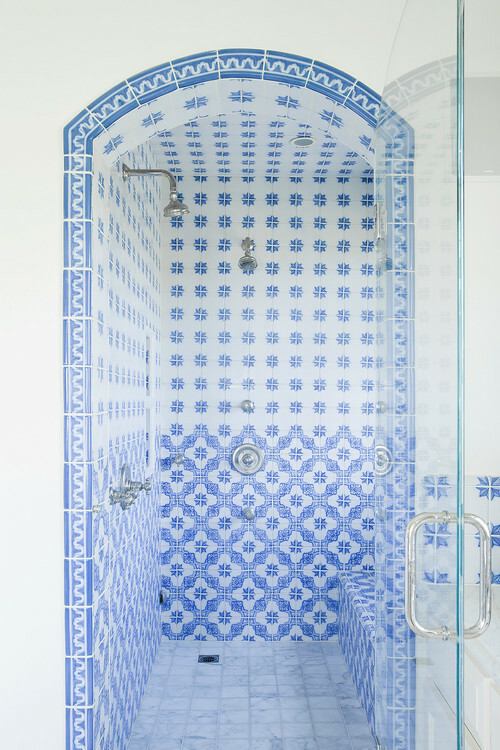 Perhaps the most timeless way to use this traditional blue color is to add some gorgeous tiles to your bathroom. Whether you choose Moroccan-inspired patterns or modern glass tiles, this blue is a color you won’t get sick of any time soon. In addition to the regular Spring palette, Pantone also chooses a Classic Color Palette for Spring. Of the four colors in that palette, I think Sailor Blue is my favorite. It is a rich navy tone that just looks expensive. This navy color lends itself to sophisticated, slightly preppy, rooms. I suggest using it in a large bedroom to really add drama to the space. Do you think you will be adding any of these colors into your home’s decor this year? Let me know which of these colors is your favorite by leaving me a comment below!